Nothing says, ‘Celebration of true love,’ like an unusually flavoured sausage. 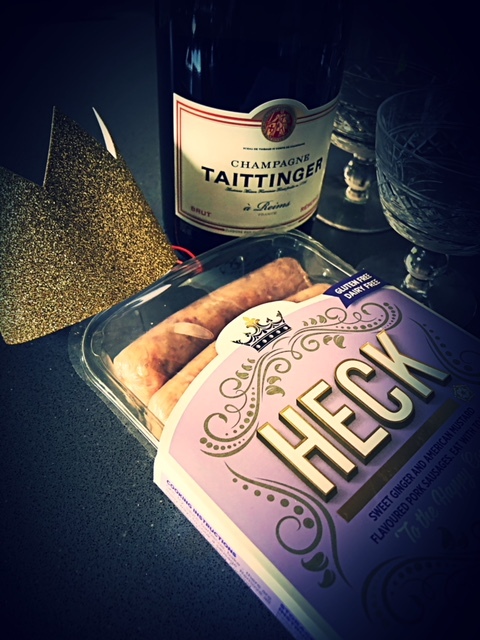 In celebration of the forthcoming wedding Yorkshire sausage maker HECK has risen far above the Markle family ructions and created The Majestic Sausage, which is perfect should you be attending a street party or themed barbecue. The flavours are a match made in heaven: lean British pork shoulder combined with American mustard and sweet ginger. The last is apparently a nod to Harry’s hair colour, though I’m not sure it’s a wise juxtaposition. Nobody wants to think about hair when eating hot dogs. But we, the Hoult family, love good quality sausages. 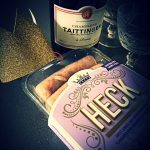 I cooked these on a gas grill and served them in a soft brioche hot dog bun – very posh, as befits a Royal theme. My 12 year old twins hoovered them down like canapes at a drinks party and I served the grown up version with pak choi, garlic and roasted peppers. We are all fans of mustard. This American one was just delicious, and the hint of ginger as yummy as the young prince himself. £2 at sainsburys.com or heckfood.co.uk till the 22nd May.